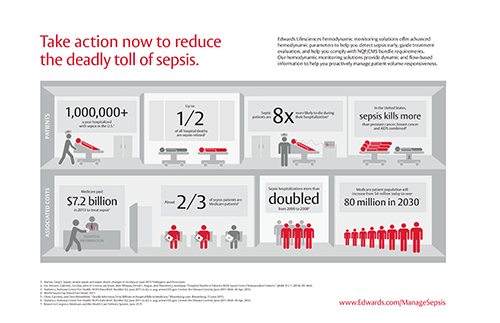 Managing sepsis is time-sensitive.7,8 It is critically important that patients are diagnosed as soon as possible, and receive the appropriate intensive care. Septic patients may present widely diverse hemodynamic profiles. 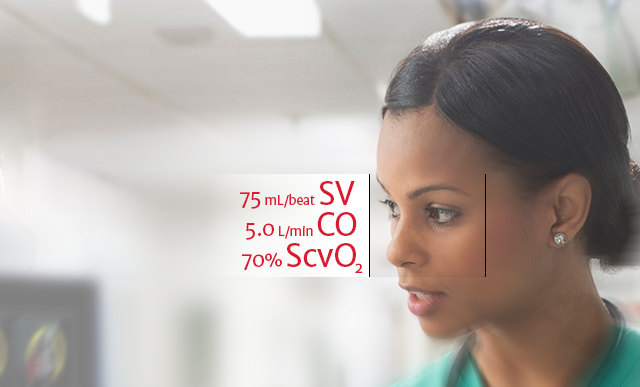 Intermittent monitoring of critical and rapidly changing patient parameters provides insufficient information when determining volume responsiveness. 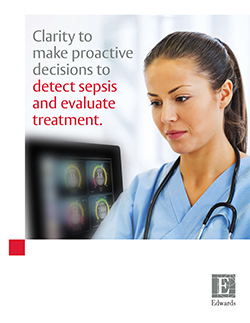 The sepsis bundle guidelines as presented, were published by CMS on August 4, 2014 and are presented for informational purposes only. This information does not constitute reimbursement or medical advice. Edwards makes no representation or warranty regarding this information or its completeness, accuracy or timeliness. It is not intended to make a recommendation regarding clinical practice. Laws, regulations, and payer policies concerning reimbursement are complex and change frequently; service providers are responsible for all decisions relating to clinical services, coding and reimbursement submissions. Accordingly, Edwards strongly recommends consultation with CMS, payers, reimbursement specialists and/or legal counsel regarding guidelines, coding, coverage, and reimbursement matters. ACEP Expert Panel on Sepsis. DART evidence-driven tool guide. Statistics, National Center For Health. NCHS Data Brief, Number 62, June 2011 (n.d.): n. pag. www.CDC.gov . Centers for Disease Control, June 2011. Web. 6 Apr. 2016. Liu, Vincent, Gabriel J. Escobar, John D. Greene, Jay Soule, Alan Whippy, Derek C. Angus, and Theodore J. Iwashyna. 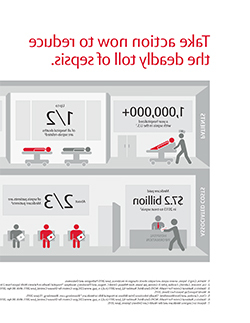 "Hospital Deaths in Patients With Sepsis From 2 Independent Cohorts." Jama 312.1 (2014): 90. Web. Statistics, National Center For Health. NCHS Data Brief, Number 62, June 2011 (n.d.): n. pag. www.CDC.gov. Centers for Disease Control, June 2011. Web. 6 Apr. 2016. 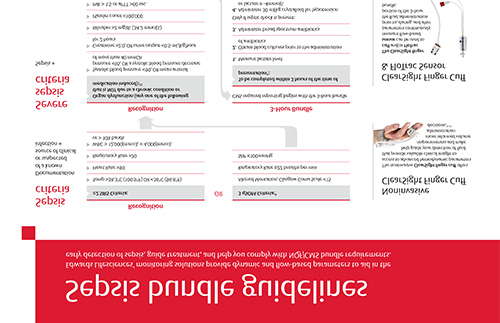 World Sepsis Day Sepsis Fact Sheet, 2015. Marik, Paul E., Xavier Monnet, and Jean-Louis Teboul. “Hemodynamic Parameters to Guide Fluid Therapy.” Ann Intensive Care Annals of Intensive Care 1.1 (2011):1. Web. Martin, Greg S. “Sepsis, Severe Sepsis and Septic Shock: Changes in Incidence, Pathogens and Outcomes.” Expert review of anti-infective therapy 10.6 (2012): 701–706. PMC. Web. 12 July 2016. Kumar A, Roberts D, Wood KE, et al. Duration of hypotension before initiation of effective antimicrobial therapy is the critical determinant of survival in human septic shock. Crit Care Med. 2006. Truijen et al. 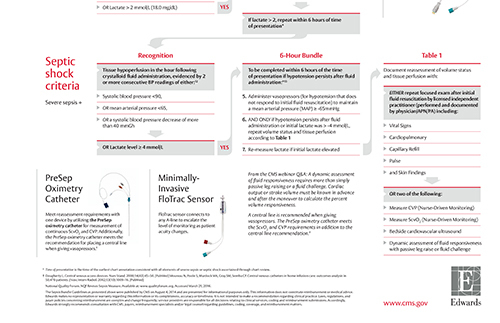 Noninvasive Continuous Hemodynamic Monitoring. Journal of Clinical Monitoring and Computing. 2012. 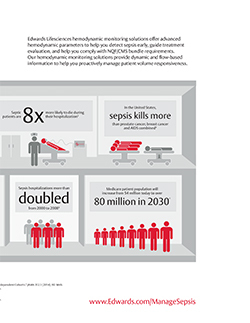 GOV: Sepsis Bundle Project - SEP1. Eeftinck Schattenkerk D, et al. 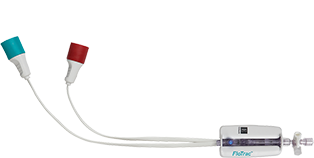 Nexfin Noninvasive Continuous Blood Pressure Validated Against Riva-Rocci/Korotkoff. American Journal of Hypertension 2009; 22(4):378-383. Maguire S, et al. Respiratory Variation in Pulse Pressure and Plethysmographic Waveforms: Intraoperative Applicability in a North American Academic Center. Anesthesia & Analgesia 2011;112:94-6. Report to Congress: Medicare and the Health Care Delivery System, June 2015.